Cracked your iPhone 6S Plus Screen? At Phone Ninja stores in Perth, we offer a while-you-wait iPhone 6S Plus repair service. Our on the spot service takes the hassle out of having your phone repaired and our stores are right across Perth, so you’ll never have to travel far. Between our technicians, we have almost 30 years of experience having carried out over 30,000 repairs since opening in 2009! Our price-beat guarantee means you’ll save money – our prices are the best in town, but if you’ve found a cheaper price in Perth we’ll beat it. We only use the highest-quality parts on the market, and offer a full 3-month warranty on our repairs. Our highly experienced technicians can assist you with a variety of common issues, including: iPhone 6S Plus screen replacements, battery repairs, camera replacement, charger port repairs, and much more. Contact us now for a quote, to set up an appointment, or simply come in to any of our stores for a repair, often on-the-spot! Along with the addition of the iPhone 6S to Apple’s line up we also get an new super sized model called the iPhone 6 Plus this too comes with exciting new features such as 3D Touch. 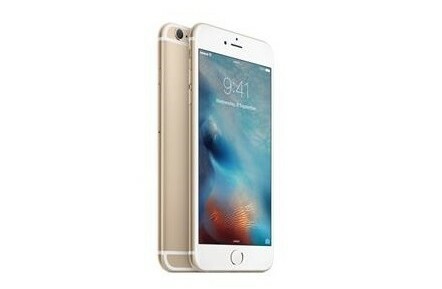 At Phone Ninja We offer the latest iPhone 6S Plus repairs. The 6s plus’s 3D Touch gives the user a more immersive experience by enabling pressure based inputs to get a whole new level of features. However, with new technology comes new parts, but don’t worry Phone Ninja have you covered by sourcing the latest parts when available at the best prices in Perth. The 6S Plus also takes advantage of the extra internal room with a bigger battery, giving much better talk and standby times. Of course when the day comes and you need your battery replaced, we will be here waiting!